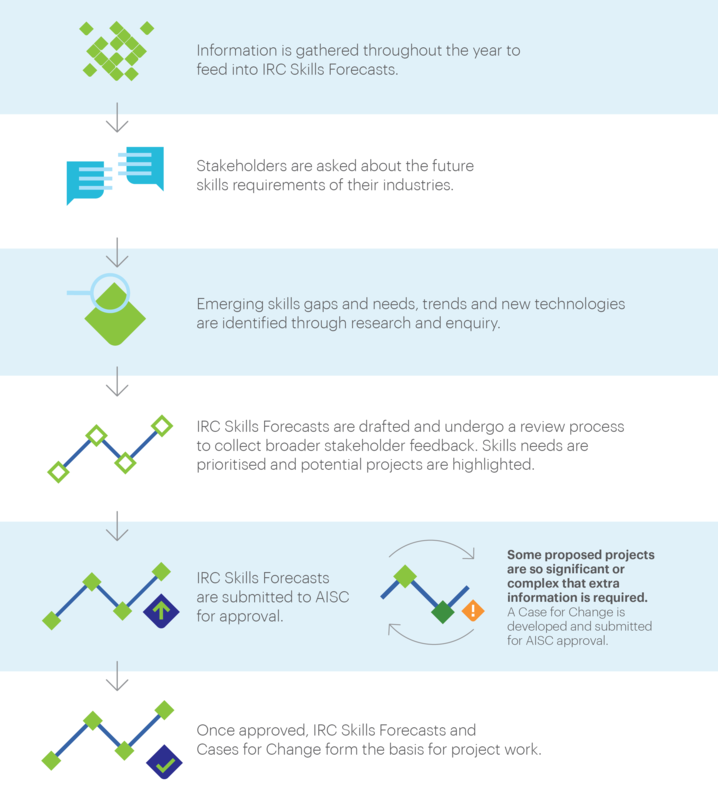 Each year in April, Industry Reference Committees (IRCs) are responsible for submitting an IRC Skills Forecast and Proposed Schedule of Work (Skills Forecast) to the Australian Industry Skills Committee (AISC). Thank you to those who provided feedback on the draft Skills Forecast and the priority skills that have been identified for 2019 – 2022. Several projects have been proposed to address these priority skills, as summarised in the grey box below. Feedback was collected on the draft Skills Forecast from 15 March – 18 April 2019, via the online feedback hub, email and phone. The Skills Forecast will be submitted by the IRC to the AISC on 30 April 2019 for their consideration and approval. The information will be used to update the AISC National Schedule of training package development projects. Once submitted, the final version the Skills Forecast will be published on this webpage. Skills Forecasts identify skills gaps, emerging skills needs and associated training needs for industry and determine whether training packages should be changed (i.e. units of competency, skill sets and qualifications). 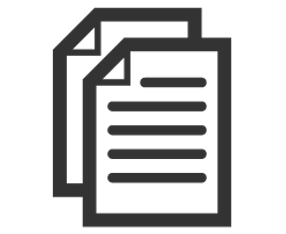 The documents propose a plan for reviewing and developing the relevant units, skill sets and qualifications, which is then submitted by the IRC to the Australian Industry and Skills Committee (AISC) for their consideration and approval. The AISC advises Commonwealth and State Industry and Skills Ministers on the implementation of national vocational education and training policies, and approves nationally recognised training packages. Development of new qualifications in crocodile farming to support a sector with growing export earnings and employment opportunities in remote areas. Ensure that the skills required for real-time distant operations are covered by new or existing units. This project does not include the review of qualifications, but may result in the development of new skill sets and importation of units or skill sets from the MAR Maritime Training Package. Undertake research and consultation to maximise the chances of future projects aimed at taking advantage of new and emerging markets, improving training and job outcomes (particularly in remote areas and Indigenous communities) and improving industry skills, in negotiations and partnerships with Indigenous business and community organisations. Project to be developed based on the findings of the Indigenous consultation work in Project 3 in 2019-20. A project will be scoped to address potential changes and updates in Australian and international Country of Origin Labelling, including updates made to other Training Packages. A project will be scoped to address barriers to accessing training. This follows feedback regarding a lack of RTOs with training on scope and limited training options in Indigenous and remote Australian locations. To support the National Aquaculture Strategy and the recommendations of the Productivity Commissions Report, opportunities arising from new infrastructure developments and industry trends will be assessed. Project 1: Update of qualifications and skills standards based on implementation feedback from the introduction and roll-out of the 2017-2019 training package changes. Project 2: Project to be developed based on the findings of the Indigenous consultation work in Project 3 in 2019-20. Projects to be identified based on feedback from previously completed projects.